I am running for the state legislature because I believe in fairness and the obligation of the government to protect the most vulnerable among us. I am running for the state legislature because I believe that our children are entitled to a quality public education and that the state must meet its court-ordered obligation to support our public schools. I am running for the state legislature because I support efforts to ensure that those who have the right to vote may do so and to broaden voter participation, not restrict it. I am running for the state legislature because I support policies that will improve the quality of our workforce, strengthen our infrastructure, and enhance public transportation, including rail service. I am running for the state legislature because common sense should tell us that School Boards should have the right to ban guns from school buildings and property, except for those carried by law enforcement personnel. I care about strengthening families and giving people tools to determine the direction of their lives. I retired from my appointed position as Nashua City Clerk, after 16 years of service, in 2015. This is my first campaign for office since then, but it is not my first time running for elective office. 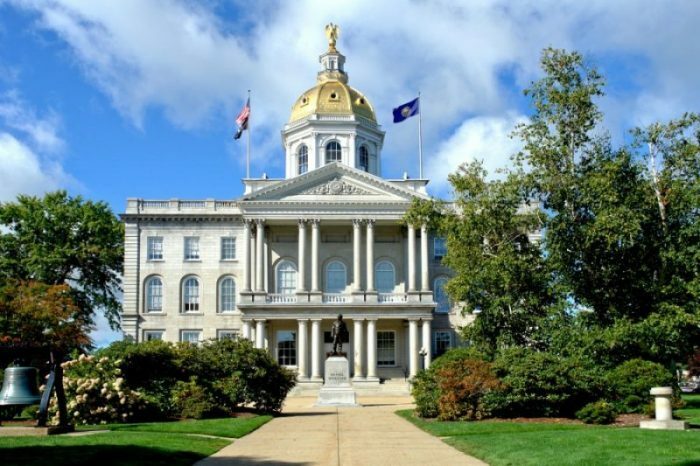 I served in the NH House of Representatives in 1973 – 1974, was elected to the NH Constitutional Convention in 1974, and during the 1980s had two unsuccessful campaigns as the Democratic nominee for State Senate in District 14. I graduated from Bishop Guertin High School in 1968, and the events of that year certainly shaped my political views and focused my political energies. 1968 was the year of North Vietnam’s Tet Offensive, of Martin Luther King, Jr.’s assassination, of Robert F. Kennedy’s assassination, of Russia’s invasion of Czechoslovakia, and of Black athletes protesting at the Summer Olympics by raising their fists during the National Anthem. That June, our graduating class of 18-year-olds knew that some would be going to Vietnam, and not all might come home. And at 18, we did not have the right to vote. The values of today’s Democratic party are not that different from those of the 70s and 80s. We believe in giving those who are in need a hand up, not a hand out. We believe in quality education. We believe that voting is a right and responsibility and not a privilege. We believe in fighting for the rights of women and minorities. We believe in expanding access to affordable housing. And we believe in, and embrace, the strength of diversity. As a boy, I remember hearing residents conversing in restaurants, in stores, on buses, and in their workplaces in a variety of languages – French, Greek, Italian, Spanish, and Polish. Today, I know people who have emigrated to the United States, and I believe in their right to feel safe, to enjoy their liberties, and to achieve their aspirations and dreams for themselves and their children…just as our parents, grandparents, and great-grandparents dreamt for us. Why am I running for the office of NH State Representative? Because I believe that we need to stay true to what makes New Hampshire, and its people, great. And because I think that, together, we can make a difference.